Indian Prime Minister Narendra Modi has launched a plan to provide a bank account for every household, in a landmark initiative to help the poor. Nearly 40% of Indians have little access to financial services and are often at the mercy of moneylenders who charge extortionate interest. Mr Modi has told state and private banks to support the plan. Correspondents say taking banking to the poor, who may have no identity papers, will be a challenge. Reports say Mr Modi's government aims to provide bank accounts to 75 million households by 2018, and to have two account-holders per household. Officially launching the project on Thursday, Mr Modi said it would give the poor "renewed strength to fight poverty". "When a bank account is opened, it's a step towards joining the economic mainstream." Under the banking scheme, account holders would receive a debit card and accident insurance cover of up to 100,000 rupees ($1,654; £996). They would also get an overdraft facility of up to 5,000 rupees. Mr Modi announced the programme in his first Independence Day speech on 15 August after sweeping to power with a landslide victory in general elections in May. "There are millions of families who have mobile phones but no bank accounts. We have to change this scenario," he told the nation. He said there was an "urgency to this exercise as all other development activities are hindered by this single disability". Tens of thousands of Indians have filed applications to open accounts since the 15 August speech, the Associated Press reports. Correspondents say increased financial inclusion will help the government pay welfare benefits directly into bank accounts and cut corruption. Data provided by the World Bank shows that just 4% of Indians receive government payments through bank accounts. The scheme will also help diminish the influence of moneylenders and other informal lending agencies who operate outside the control of the country's central bank. Vijay Advani, executive vice-president of Franklin Templeton Investments, told the AFP news agency that the plan was an "unique opportunity [for India] to re-invent its approach to financial inclusion". But one of the main impediments to the plan could be the lack of identity documents among the poor - people have to produce a number of papers, including birth certificates and proof of address, to open a bank account in India. "For the common man, the opening of a bank account is a Herculean task," NSN Reddy, chief manager of the state-run Andhra Bank said. 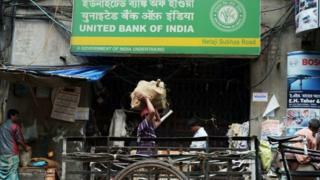 But India's Central Bank Governor Raghuram Rajan has said the scheme will help the poor to gain "economic independence" by providing insurance and credit.